We’re sending a message to homeowners about the importance of the proper use of pesticides, as well as tips on responsible water use in the garden. 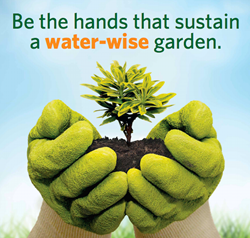 This year’s Apply Responsibly program is reminding Californians to do all that they can to protect the state’s waterways by learning to become water-wise gardeners, program officials announced today. To help spread the word, Apply Responsibly has posted an updated online water-wise quiz for website visitors to take. A free packet of wildflower seeds will be sent to those who respond. “The quiz is a fun way to encourage water conservation and environmental stewardship,” said Orth. “This way we can encourage homeowners to also be smart about their use of water. Not just during the drought, but always."